Different findings about suitable correlations to describe nanofluid viscosity can be explained based on the research presented in this paper. The effective viscosity of nanofluids is crucial when nanofluids are considered as heat carrier fluids. Despite many publications, however, no consensus about suitable correlations could be found in past years. Particularly, the impact of the shear rate on the viscosity is being discussed controversially. 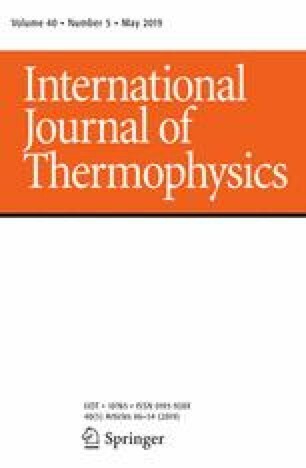 It is shown in this paper that these different findings can be explained considering the theory for the rheology of suspensions. Any measurement of viscosity over shear rate only shows a section of the entire rheological behavior. Thus, experimental results of shear thinning, Newtonian behavior and shear thickening of nanofluids can all be a part of this overall range of possible shear rates. This hypothesis is validated based on viscosity data from the literature and viscosity measurements over a wide range of shear rates for different nanofluids showing all three types of behavior.